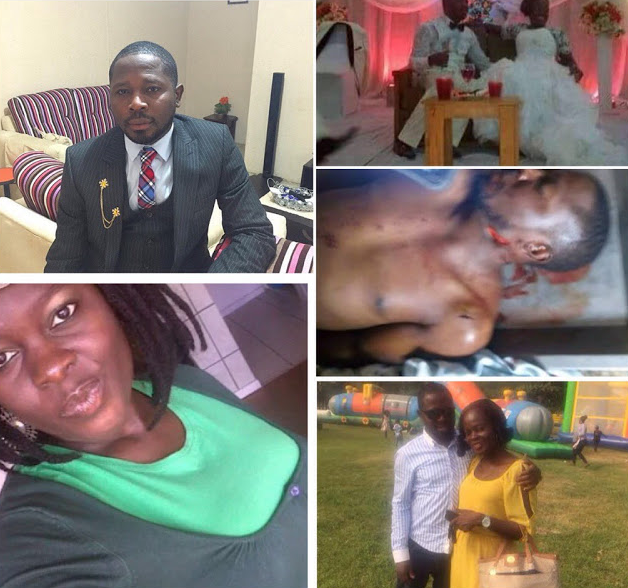 Double tragedy as the family of late Lowo Ajanaku, who was allegedly murdered by his wife, Yewande in Ibadan last Tuesday have been hit with yet another tragedy .The deceased foster father, Pa Oyewole Ajanaku died,Nigerian Tribune reports. The death of Pa Oyediran, who was the patriarch of Ajanaku family, occurred in the early hours of Monday in Gbongan, the headquarters of Ayedaade Local Government Area of Osun State. Nigerian Tribune authoritatively gathered that Pa Ajanaku, aged 89, may have died of high blood pressure after the news of the alleged murder of his son was broken to him. A member of Ajanaku family, who pleaded anonymity, confirmed the death of Pa Ajanaku at his residence at Owoope Area of Gbongan. He hinted that Pa Ajanaku, though immediate senior brother to the real father of the late Lowo, took over his upbringing in 1990 when the deceased father died. "But on hearing the sad news last week, the man who was the immediate senior brother of Lowo's dad could not bear the shock. He developed complications and later died of high blood pressure in the early hours of Monday," the source explained.